Can Leon County Make its Dangerous Intersections Safer? Leon County's Dangerous Intersections: How Can It Make Them Safer? An intersection minutes outside of Tallahassee is causing concern among after a fatal crash occurred there last week. This is the 13th crash to happen at the intersection of Blountstown Highway and Geddie Road in two years, with all the victims sustaining injuries. A rash of suffering such as this leaves people wondering just what improvements Leon County and the city of Tallahassee can implement to make the dangerous intersections they’re responsible for safer. The head-on-collision at Blountstown and Geddie took the life of a 23-year-old man. His death comes weeks before a new traffic light is set for installation at this intersection — a traffic light that some here believe should have gone up a long time ago. While Leon County officials claim that the new traffic light and turn lanes will be completed by next month, what other safety improvements exist that could be implemented? A study conducted by the Federal Highway Administration in 2008 focused on rural road intersection safety and presented improvements for such accident-prone roadways. One of the measures proposed by the FHWA includes improved signage. Depending on crash type and frequency, some of these measures include two “Stop Ahead” signs on either side of the roads (or median, if available) approaching the intersection and two stop signs where the roads meet at the intersection. An alternate way to present stop signs is by mounting them over the roadway, thus helping to alleviate accidents such as right-angle and rear-end crashes, according to the FHA study. This installation provides approaching motorists a clear message that they must come to a complete stop at the intersection. In addition to the added signage, the FHWA recommends city officials include raised pavement markers (RPMs) and pavement legends, such as the word “STOP” painted on the roadway just before the stop bar. If intersections allow for pedestrian crossings, such pavement markings are also important to ensure pedestrians know it is safe to cross. This also helps motorists to clearly identify this particular intersection as an area for pedestrian crossing, and take measures to slow down and drive safely, the study says. Roundabouts are another way that some experts say intersections can be safer. For example, roundabouts are useful in an intersection that experiences multiple right-angle and left-turn crashes. This is especially true for drivers who are unaware or do not follow stop and yield signs, or drivers who misjudge gaps in traffic and enter said traffic at the wrong time, says the FHWA. The agency finds that roundabouts are a positive safety treatment for problematic areas in that they reduce the number of conflict points, as well as reduce intersection speeds. In a roundabout, a motorist is only forced to look in one direction for conflicting traffic before entering traffic, while the inner circle keeps speeds very low. In particular, this helps to cut down the severity of any crash that may occur. According to a satellite image on Google Maps, the particular intersection of Blountstown Highway and Geddie Road lacks any form of street lights. A study conducted by the Iowa State University found that lighting along roadways could contribute significantly to the reduction of accidents. The FHWA agrees that unsignalized and unlit intersections are prone to substantial patterns of nighttime crashes, such as rear-ends, right-angle, and turning crashes. In the case of this intersection, lighting is only provided by vehicle headlights. Visibility at this and other unlit intersections would be greatly improved if proper street lighting were installed by helping drivers determine their paths through the intersection and making signs and markings more visible. 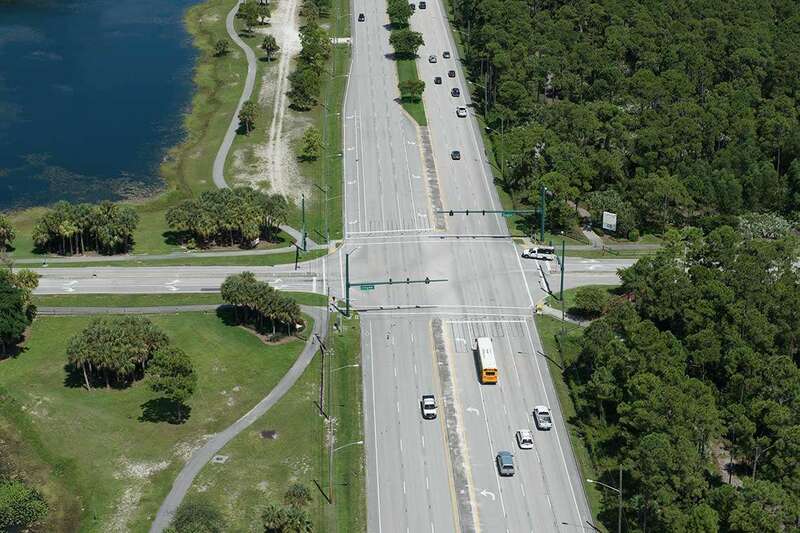 This safety improvement addresses head-on collisions, such as the one that occurred last week, and angle crashes due to left-turning drivers who are pulling out in front of opposing through traffic. As noted by the FHWA, these lanes can be applied at intersections on divided highways that have medians wide enough to provide an appropriate offset, or dedicated and visible medians that allows for safe left turns. This traffic element can also be applied on approaches without medians if sufficient width exists in that part of the road, the agency says. The offset left-turn lanes thus allows motorists a line of sight to opposing traffic, and eliminate attempts to look around opposing left-turning vehicles. Safely approaching and driving through an intersection is a must for all drivers, as well as pedestrians. But accidents are still likely to occur in such intersections that lack safety elements such as those discussed above. If you have been a victim of a car accident in the Tallahassee area, legal options may be available to you. Visit our car accidents reference page to learn how an attorney at Morgan & Morgan can help you file a claim, obtain personal injury protection (PIP), how to recover medical insurance benefits, and more.